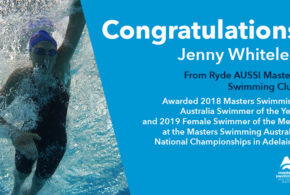 Champion Swimmer Jenny Whiteley Awarded at the 2019 National Presentation Evening. 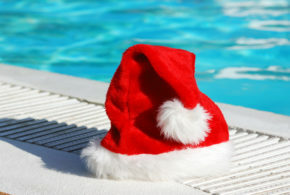 Wett Ones Swimming Club on World Stage during 2019 Mardi Gras, Sydney. 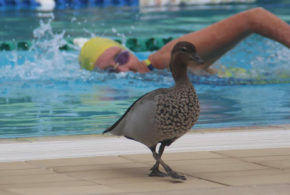 The Duck that Stole the Show. Made for the Role. 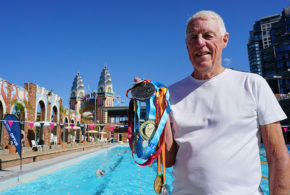 Tony Goodwin on the World Masters Swimming Championships. 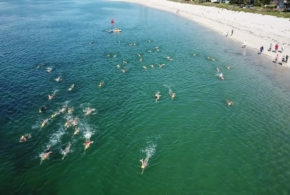 Jimmy’s Beach Brilliance as Open Water Swimmers Shine! 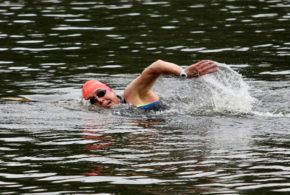 Masters Swimming NSW Open Water Success at Lake Parramatta! 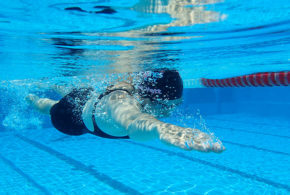 Types of Training by Mark Morgan. 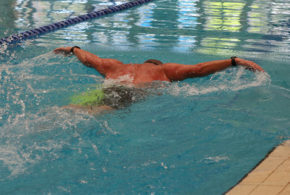 Paul Bailey Completes his 15-kilometre Butterfly Challenge in Style. Greg Lewin Awarded 2018 Coach of the Year. 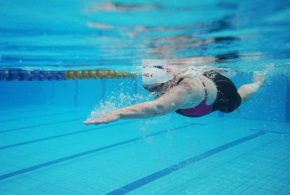 Tips and Lane Etiquette for Masters Swimming.